U.S. 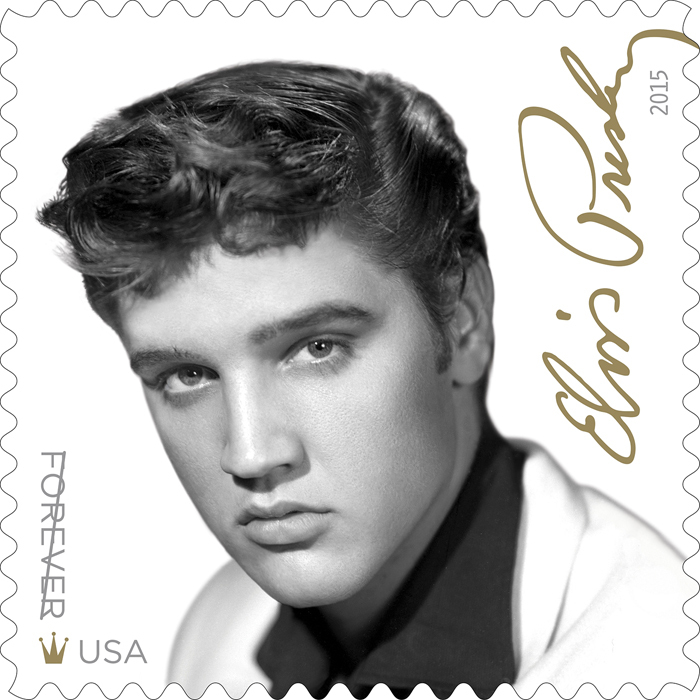 Postal Service customers snapped up enough copies of the exclusive new Elvis Forever compilation, released last week in conjunction with the new Elvis Presley Forever postage stamp, to put it at No. 11 in its first week on Billboard’s 200 Albums chart. The 18-track CD … sold 27,000 copies last week … the highest debut for a Presley album … since his 2nd to None album debuted at No. 3 in 2003. The King of Rock & Roll also fittingly debuted at No. 1 on Billboard’s Top Rock Albums chart. It’s his first No. 1 on the list (which originated in 2006). The album also made a strong debut on the Top Country Albums chart at No. 2, marking Presley’s highest-charting set since 2002’s Elv1s: 30 #1 Hits, which spent three weeks atop the list. Read more at the Los Angeles Times and Billboard.